Good To Know: Unframed, professionally packed and stored in humidity controlled art storage facility, CoA (Certificate of Authenticity) from Pest Control, condition report available upon request. Banksy produced Nola on a wall in New Orleans in 2008. 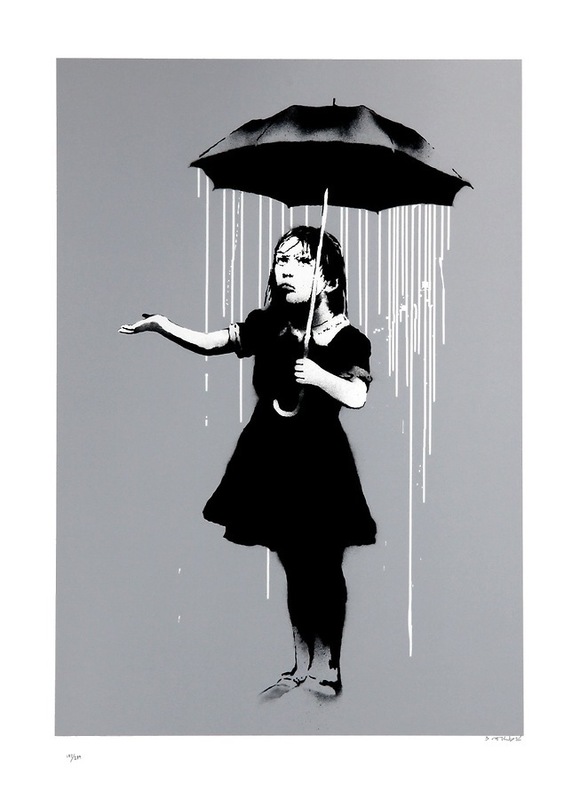 In an interview, Banksy said this stencil represents how things that are supposed to protect us can also hurt us. The girl is standing under the umbrella, a portable roof, but is getting rained on regardless. The umbrella should be protecting her from the rain, but it is instead its source. She is holding out her hand to see if it is like that outside the umbrella.